This is a fabulous retro dish that was very popular in the seventies. You might not think to give your kids duck but ours love this meal and they especially like the combination of duck with fresh tangy orange. It goes well with wild rice and green vegetables such as broccoli and mange tout. If you have more time, it is also delicious with our Boulangère Potatoes and if you want to continue the seventies theme you can serve chocolate fondue with strawberries for dessert! 1. Preheat the oven to 220°C/200°C fan/425°F/Gas mark 7. 2. Prick the skin of the duck breasts with a fork or score with a sharp knife (making sure you don’t cut through to the flesh) – this will help some of the fat come out of the skin and make it nice and crispy. 3. Sear the duck breasts, skin side down, in a frying pan over a high heat until the skin looks golden – you will not need any oil for this as there is plenty of fat in the skin. 4. Arrange the seared duck breasts, skin side up, in a roasting tin and tuck the orange pieces, shallots, carrots and bay leaf around them. Drizzle with a little oil. 5. Roast in the oven until the duck is just cooked through to your liking. This should take about 15 minutes for the meat to be medium and 18 minutes for the meat to be well done. 6. Remove the duck from the pan to rest for a moment while you make the sauce. Add the orange juice to the roasting tin and give it a good stir, then strain into a small saucepan and place over a high heat to reduce down a little. Skim off any excess fat. 7. Slice the duck breasts and pour the sauce over the top to serve. 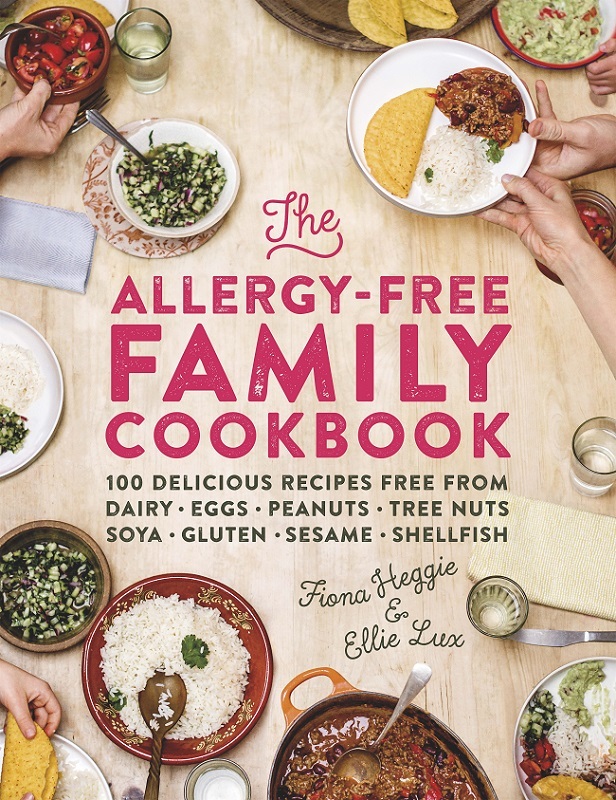 The Allergy-Free Family Cookbook contains 100 recipes that are all free from dairy, eggs, peanuts, tree nuts, soya, gluten, sesame and shellfish. They are not only perfect for those diagnosed with single or multiple food allergies, they are also ideal for people with intolerances, coeliacs, as well as those wanting to avoid allergens for other reasons. Recipes include shepherd’s pie, Thai curries, risottos and casseroles as well as cakes and desserts. They can all be made with ordinary, everyday ingredients; they just happen to be free from eight major allergens meaning everyone at the table can enjoy the same meal. With kids back at school and busy schedules, parents needn’t struggle with ideas for quick, easy and nutritious meals whether they’re preparing them for their own families or for their children’s classmates.